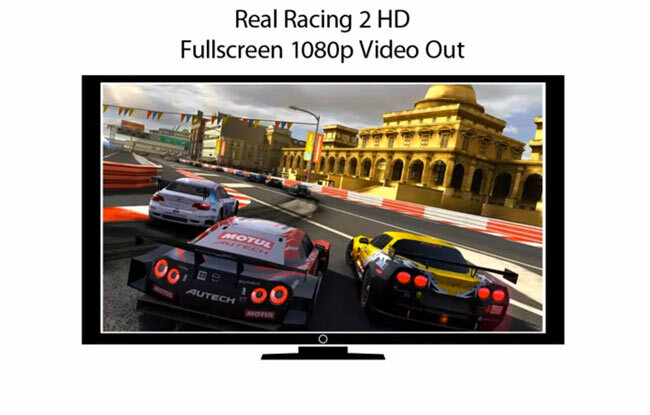 If you like larger than life gaming action, you might be will be pleased to know that Real Racing 2 HD for the iPad 2 will be receiving an updated and will soon offer full screen, gorgeous 1080p visuals that will look fantastic on your big screen TV, a first for any iOS game. The update will also bring with it silky smooth 30 frames a second racing.Watch a teaser video for the Real Racing 2 HD in action after the break. Other updates include, dual-screen racing with real time telemetry on your iPad 2 and No scaling – full HD with no black borders. The update is expected to roll out very soon.